Why it matters, how different industries are using it and how to get started. 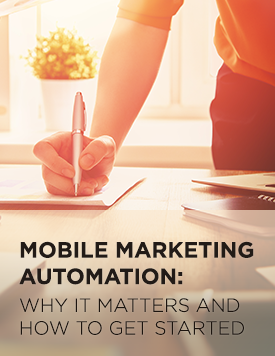 What is mobile marketing automation? Today’s consumers demand brand experiences that are tailored to their individual preferences and relevant to where they are and what they’re doing. Mobile marketing automation is an emerging discipline that provides the tools and tactics brands need to reach these context-savvy consumers more effectively. This eBook offers a helpful overview and key considerations for getting started.